Budget Chief Gary Crawford launches the 2016 City budget. Funding all of those projects solely from property taxes would take an additional 2.5 per cent on top of the recommended 2.17 residential property tax revenue increase. The 2016 budget is structured differently than previous years, with the an unbalanced budget delivered by City staff for Council to make the remaining decisions. It passes on difficult decisions to councillors who will have to decide what they will fund, what they won’t, and what new revenue tools, if any, they’re willing to implement to balance the budget. In order to balance the operating budget, as they are provincially mandated to, Council needs to increase its property taxes. Staff suggested two possible increases: a 2.17 per cent increase in residential property tax revenue, or a 1.3 per cent increase, which matches the rate of inflation. Mayor Tory has expressed an interest in keeping property taxes in line with inflation—it’s a prominent campaign promise—however, it may not be possible to do so without dramatically cutting services. Given how this budget was structured, there are two budget gaps. The first one is $57 million, which is addressed with the 2.17 per cent property tax increase (a 1.3 per cent increase would create a deficit). The second budget gap is the additional $67 million and staff has not mapped out a way to solve that problem. City Manager Peter Wallace goes through his first Toronto City Budget. Various sources of revenue are noted in the budget, including the Municipal Land Transfer Tax (MLTT), the uploading of social services and court security costs to the province, and the revenue generated by the TTC fare increase and projected ridership growth. The MLTT brought in $532 million this year, or 5 per cent of the operating budget. 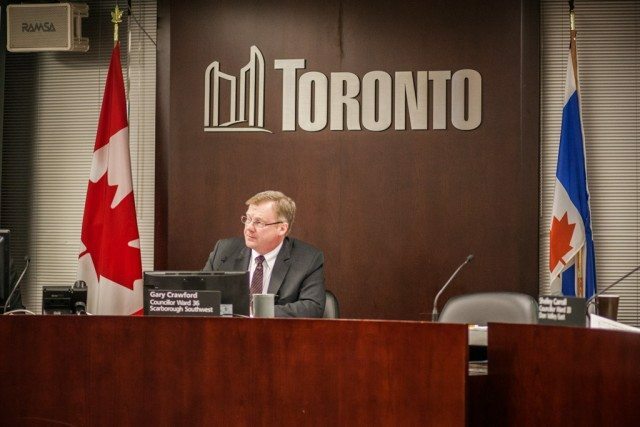 However, as several councillors were quick to point out, Staff has budgeted for future years on the assumption that the MLTT will continue to bring in such record breaking revenue; a dangerous bet, as it would require Toronto’s property market to stay as hot as it is now. In addition to the gap in the operating budget, Council also faces a worrying $22.3 billion in unfunded capital projects. The $33 billion in funded projects are largely transit based; $3 billion for the East Gardiner rehabilitation and $2.7 billion for the Spadina subway extension. Sixty-three per cent of the capital budget will go towards state of good repair projects. Unfunded projects include the George Street revitalization project, Lower Don flood protection, the Downtown Relief Line, TCHC State of Good Repair projects, and various TTC projects. Staff presented several possible revenue tools and financing that could be used to lower the amount of unfunded capital projects. These include additional debt financing, additional dedicated property tax levies, other potential revenue tools (including assets sales, road tolls and developer funding). Dedicated property tax levies can work to fund major capital infrastructure; the City currently has a 1.6 per cent property tax levy to fund the Scarborough subway extension over the next 30 years. 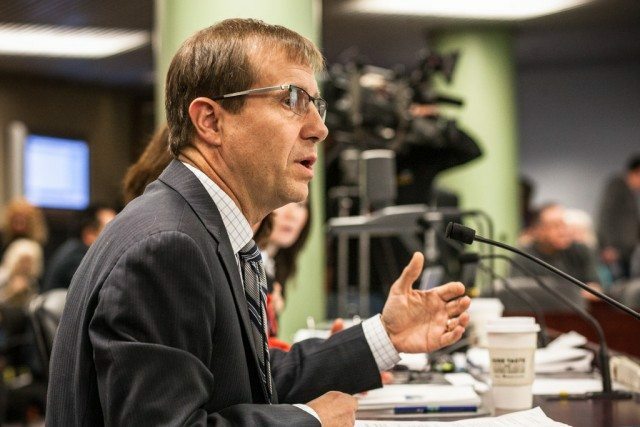 Chief Financial Officer Rob Rossini wants the City to bring down its unfunded debt to $400 million by 2020; such a scenario would mean the City would breach its 15 per cent debt ceiling. Rossini stated that he had spoken with the credit rating agencies about the possible breach and that it “wouldn’t be the end of the world,” but could not guarantee that doing so would not trigger a downgrade.